Now I'm not sure if 6 levels are necessary. For most grading schemes 4 seems to be plenty. Remember that for ever level you introduce to your scoring/grading scheme the more difficult it ibecomes to get inter-rater reliability (if that's not a concern for you, SBG is not really for you). The "standard" in SBG is a critereon based expectation that is shared by all. If you were using the PISA decriptors to create assessments and guide instruction you might say that being able to answer level 1&2 type questions gets you a 'C', 3&4 type questions gets you a 'B', and 5&6 type questions gets you an 'A' (if you don't like A,B,C,etc. use 4,3,2,1). There isn't one right answer with SBG. What's most important is that you have a clearly defined purpose and that your methods align with it. People throw around terms like mastery, but until you define what mastery looks like, it could mean almost anything. 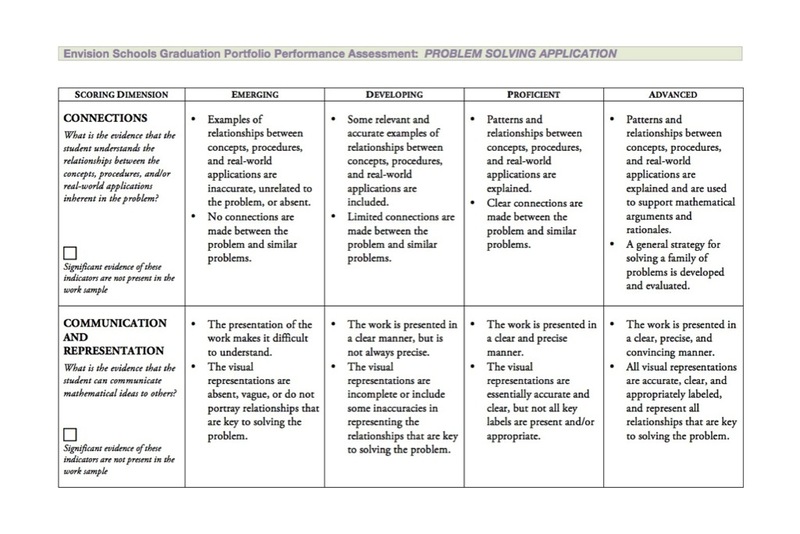 Below is a problem solving rubric developed by Envision Schools. 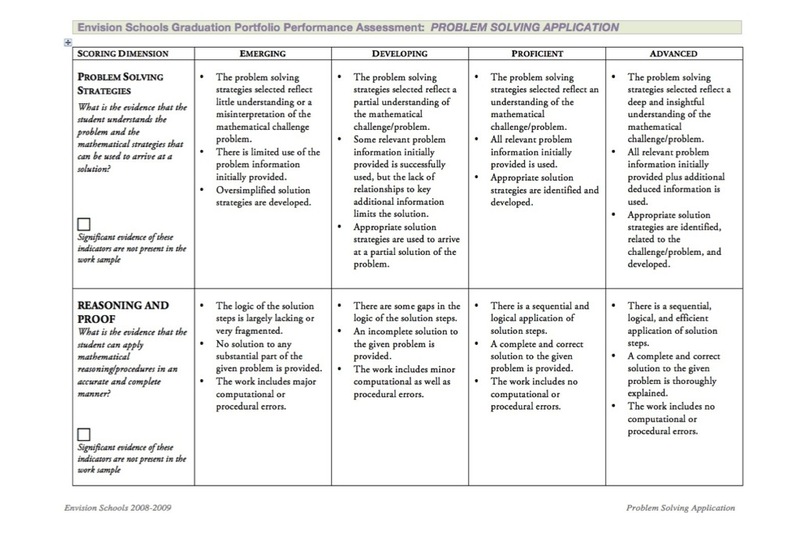 In it they lay out what different levels of mastery within problem solving (this is mostly mathematics focused) look like. This can be used to create assessments and score them. You could develop a point system from this or you could score it holistically.